Psoriasis is an autoimmune chronic skin disorder that is characterized by patches of abnormal skin. These patches are red, itchy and scaly. Its severity may range from a small and localized patch to patches on the entire body. There are 9 gene mutations found, which may cause psoriasis on your skin. These mutations of the genes cause certain cells to function differently in your body, thus leading to psoriasis. 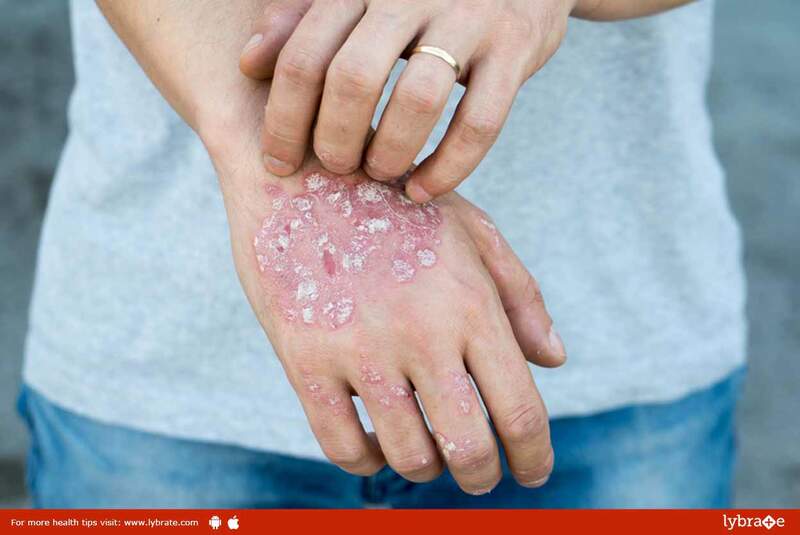 Various environmental factors can also trigger psoriasis. Low calcium levels in the body, infections, or a skin injury can all lead to psoriasis. 1. You may experience scaly red skin patches. These are commonly found on your scalp, elbows or knees. 2. You may also have cracked or dry skin that might even bleed. 3. Inflammation of the skin along with itching. 4. There may be swelling, pain and stiffness in the joints. 1. Creams and skin ointments are used to treat mild to moderate types of psoriasis. 2. Phototherapy is another treatment where your skin is exposed to sunlight in a controlled manner. 4. Use of moisturizers can also help to curb scaling and itching. However, it is always recommended to consult the dermatologist before opting for any form of treatment.